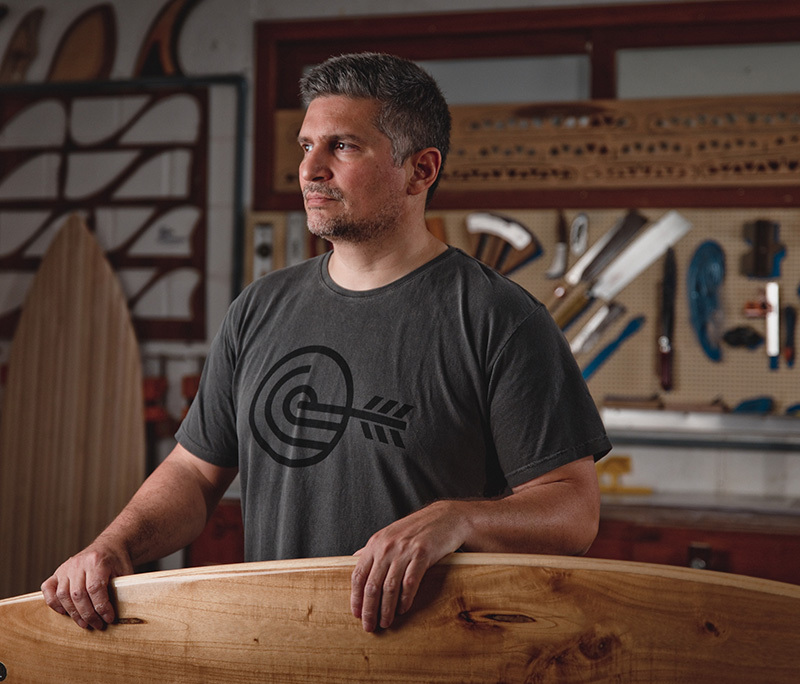 David Weber is a professional engineer and has been a shaper since 2008, when he began to make boards from conventional materials such as EPS and PU. At that time he decided to make boards with alternative materials, which could combine sustainability, technology and art. He found wood to be the finest material that could be used, the same as in ancient surfboards, showing a new route to the future. In recent years, he has been completely dedicated to the development of new boards, improving the construction processes and shapes. In this quest, the great challenge has been to build wooden boards that are light, so that they can truly be functional works of art. Because when it comes to surfing, performance is key to having fun in the waves. To attain his method, David adopted various shipbuilding techniques that create a clean and silent process. The construction is optimized to the maximum to obtain strong, light boards as quickly as possible, so that they can be made in the four-day workshops – which are practical courses in which this knowledge is shared.